Ari Laakkonen and Jarkko Kortelainen, founders of the Finnish company TE3 Oy. 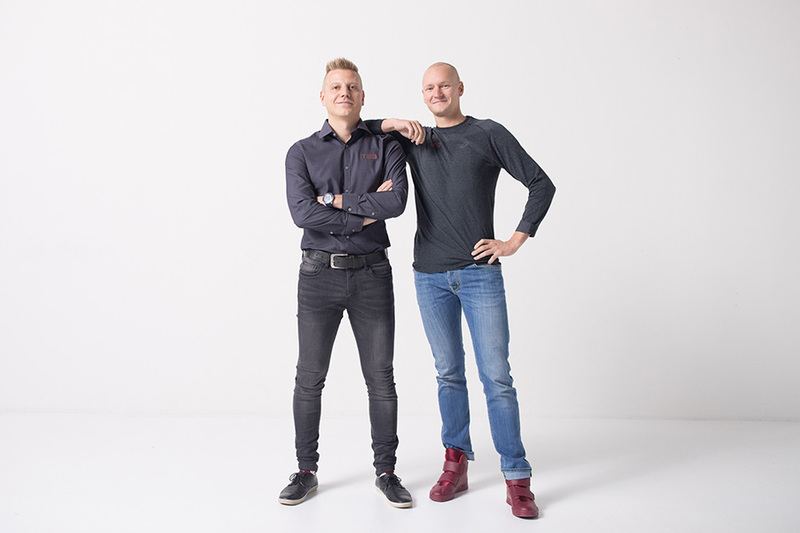 TE3 Oy is a Finnish Start up, founded in 2016 by Jarkko Kortelainen and Ari Laakkonen. The company develops and sells digital exercise and rehabilitation tools with the latest technology for home, active and professional use. These smart tools can be used for workouts, testing and analyzing body movement and functions. Company´s new innovation TE3 digital training stick guides motion through the vibration pulse while the application collects and analyzes information about exercise at the same time. Good friends Jarkko Kortelainen and Ari Laakkonen founded Finnish company TE3 Oy. Jarkko is a physical training professional and an athlete, and he invented the well-researched and respected “Fustra Method.” Ari has an extensive background in technical-products global-development projects. On a beautiful summer day in Finland in 2014, Ari and Jarkko, relaxing in a lakeside sauna, wondered if there was a better way to get people to move, to be motivated to achieve solid improvements in their well-being. They were well aware that there was no reliable means for measuring body movement during exercise and then keep track of progress too. After an extensive period of development and innovation, the TE3 Digital Training Stick became reality, and is now available. During stick exercise, the TE3 guides the user, provides real-time feedback and simultaneously collects crucial data for analysis. The design and shape of the new training tool is based on the familiarity of jumpsticks, devices used as a tool for movement since the 20th Century. For Jarkko and Ari, the time had come to move jumpsticks into the digital era!